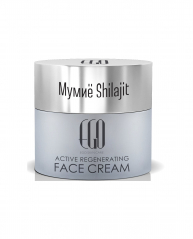 Regenerating and hydrating combined day and night cream with UV filter , combining the power of valuable oils of almond, calendula and chamomile, and three types of hyaluronic acid. Low, medium and high molecular hyaluronic acids restores the hydro balance of the skin, stimulates production of collagen and helps reducing the wrinkles, normalizes pigmentation. Protects the skin from the harmful effects of the environment through innovative antibacterial protection with pure Silver and chamomile extract. Directions for use: Apply in the morning and evening with gentle movements on the face and neck on cleansed skin. Contact with eyes, rinse with water. 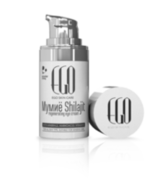 For dry to normal skin and suitable for sensitive skin . For men and women of any age.